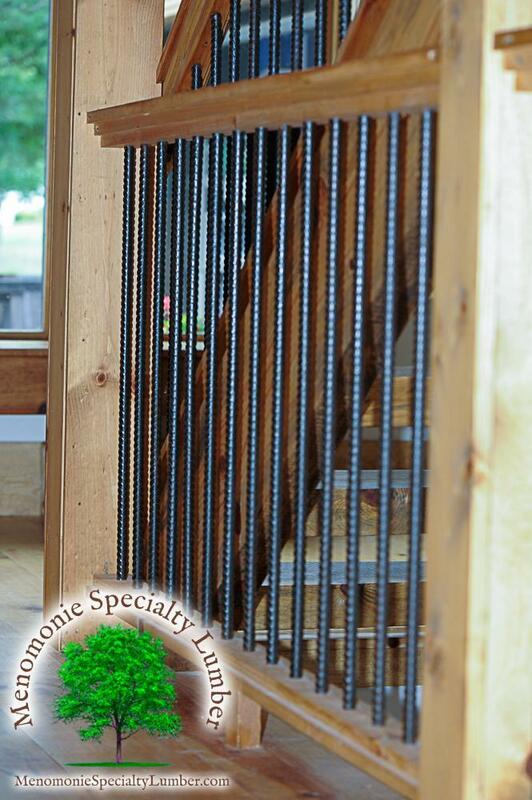 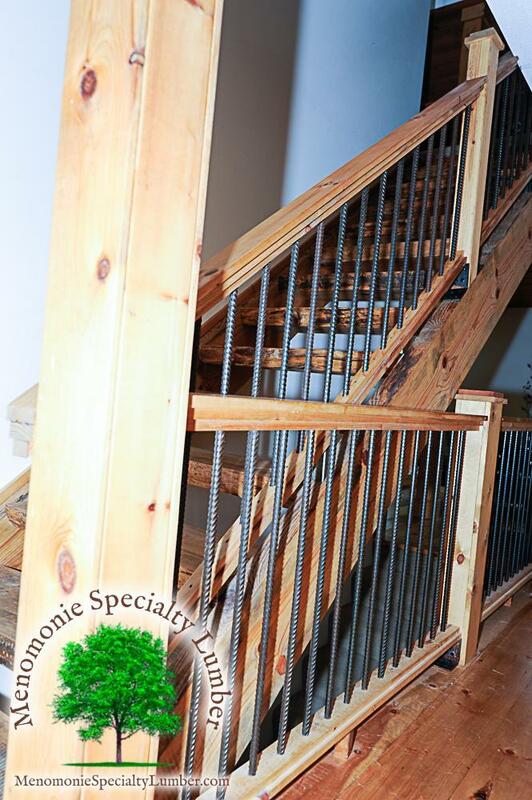 Custom handrail with steel rebar balusters. 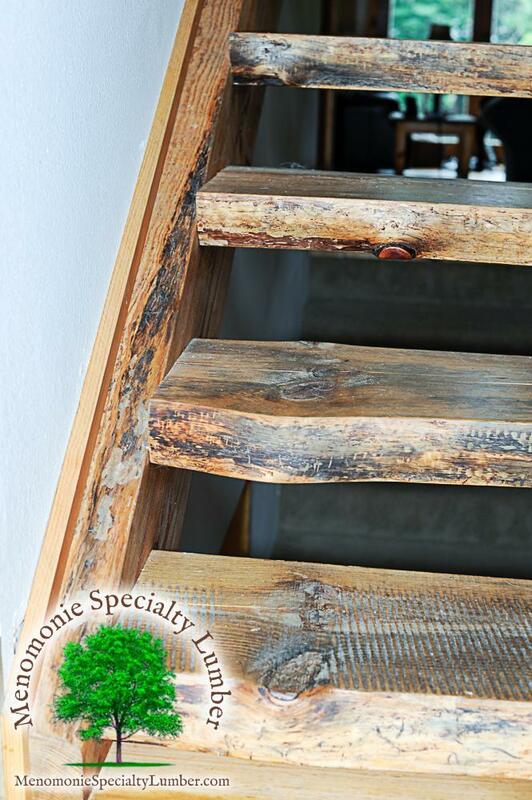 Our client had a open stairway in their home that had pine dimensional lumber stringers, stair treads with risers and wanted an upgrade. 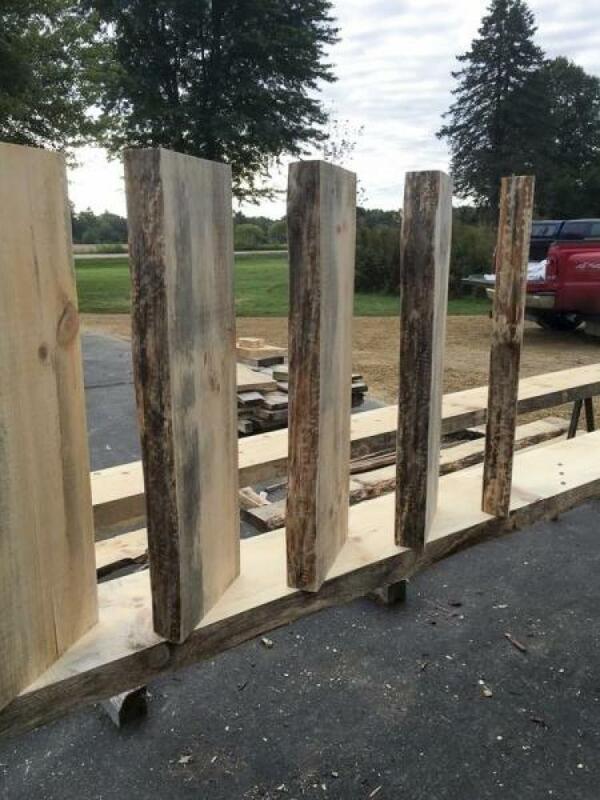 We had a couple of white pine logs that we salvaged from a real estate development clearing milled into 3 inch slabs. 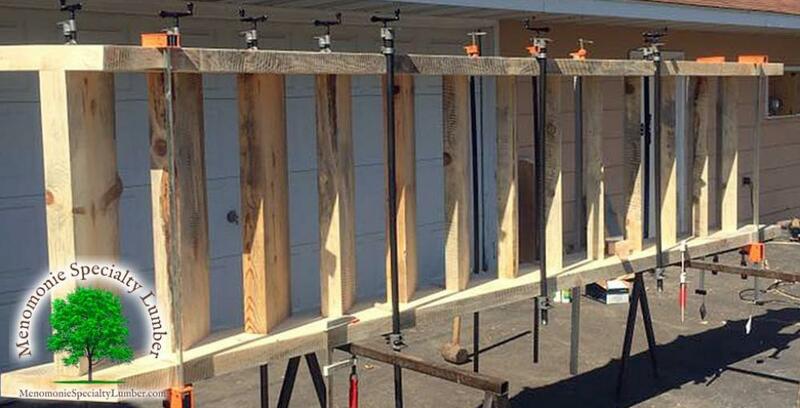 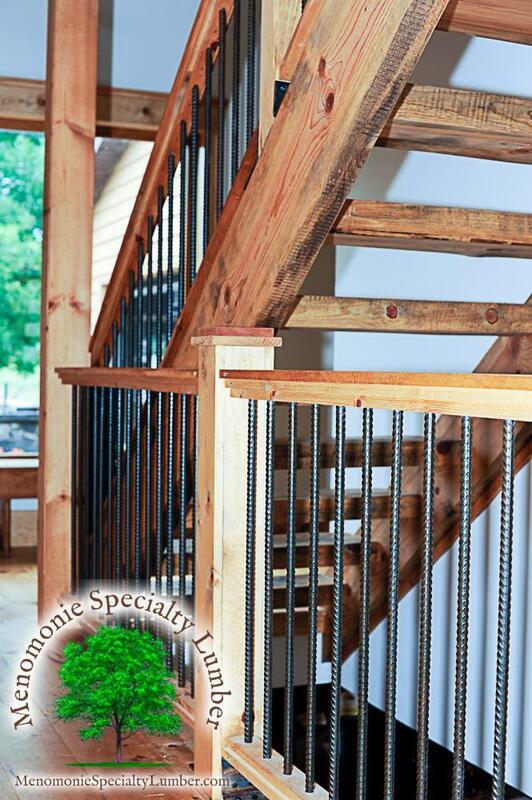 The project required 2 – 14 foot stringers and 13 – 3 inch thick live edge stair treads. 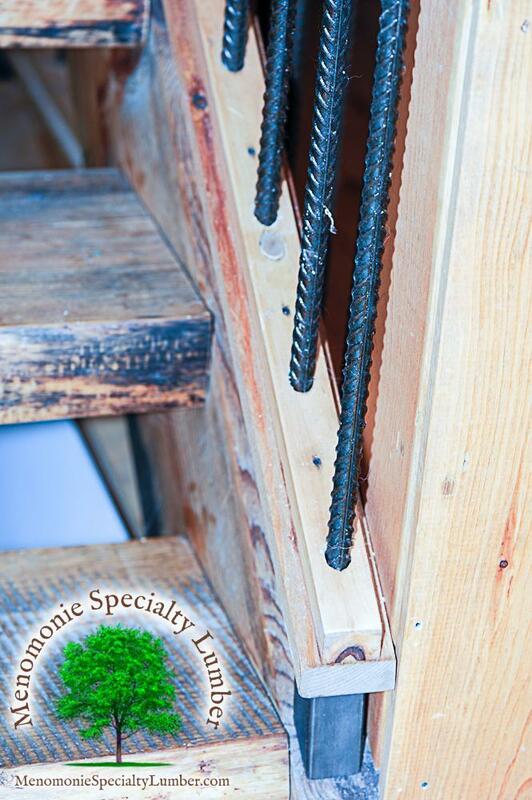 We were able to utilize our Festool Domino Joiner and mill 6 mortises in each tread and 39 in each stringer. 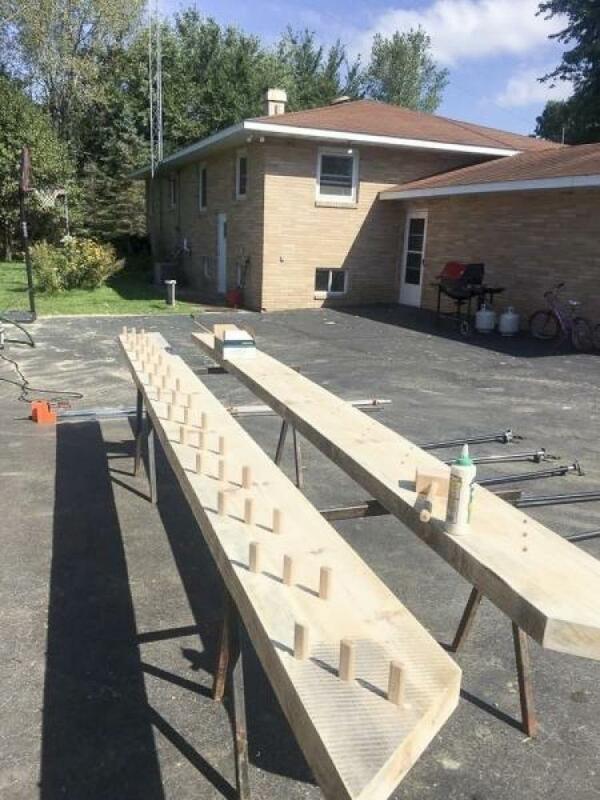 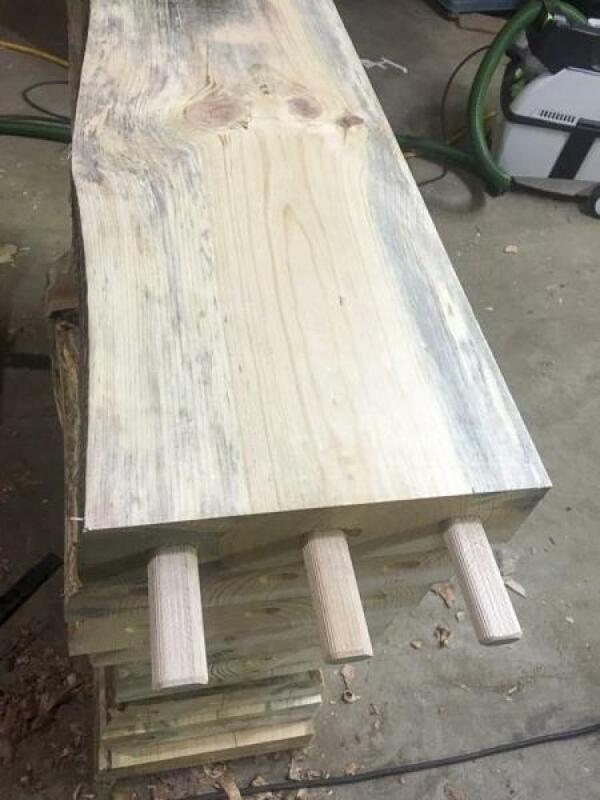 We used 78 – 150mm Festool fluted hardwood tenons bonded with Titebond 3 Ultimate wood glue and clamped the project together. 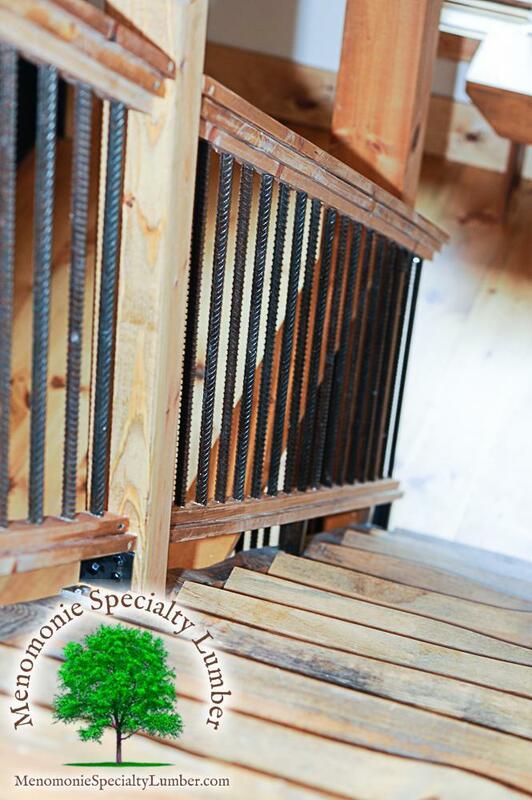 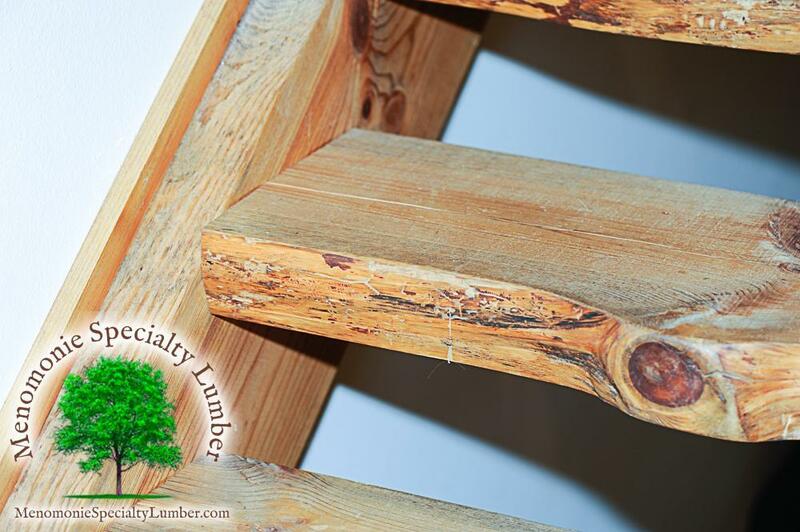 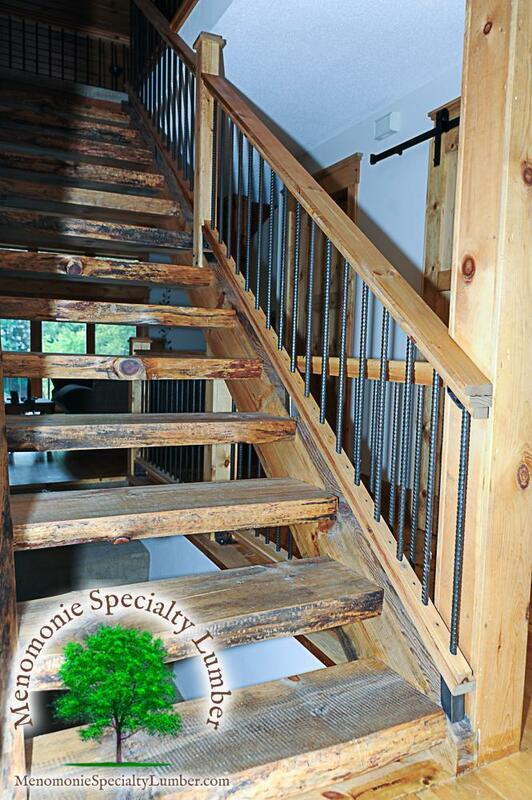 With no metal fasteners used in this open stair case we were able to bring out the natural beauty of the pine timbers for our clients to enjoy. 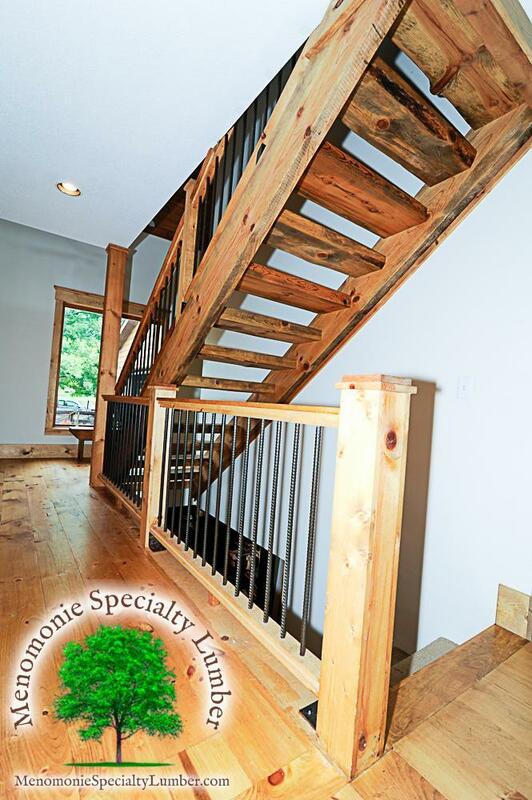 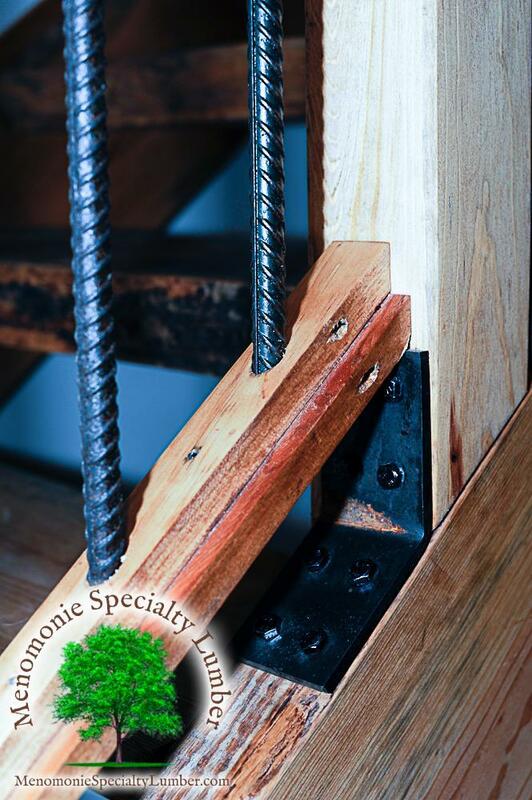 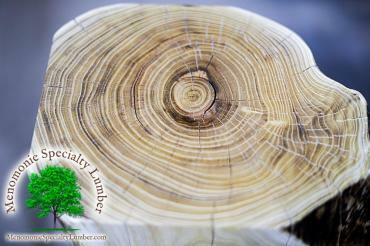 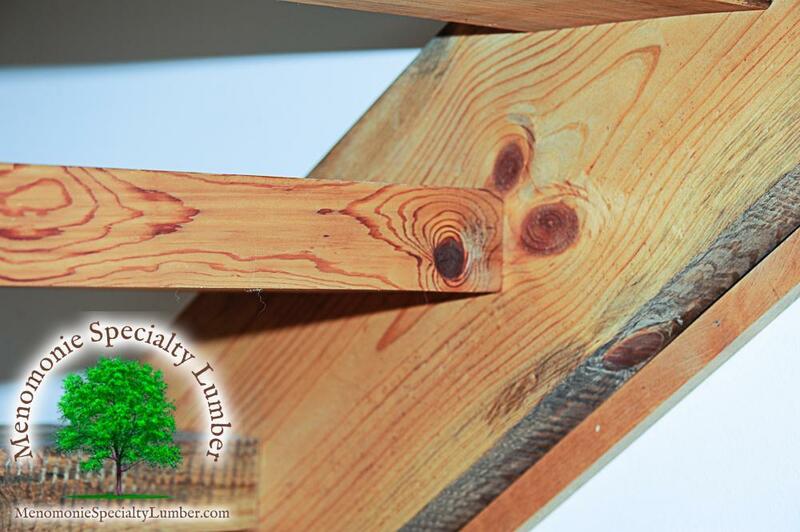 Call or Email to schedule a visit to our Western Wisconsin Custom Woodworking Shop.